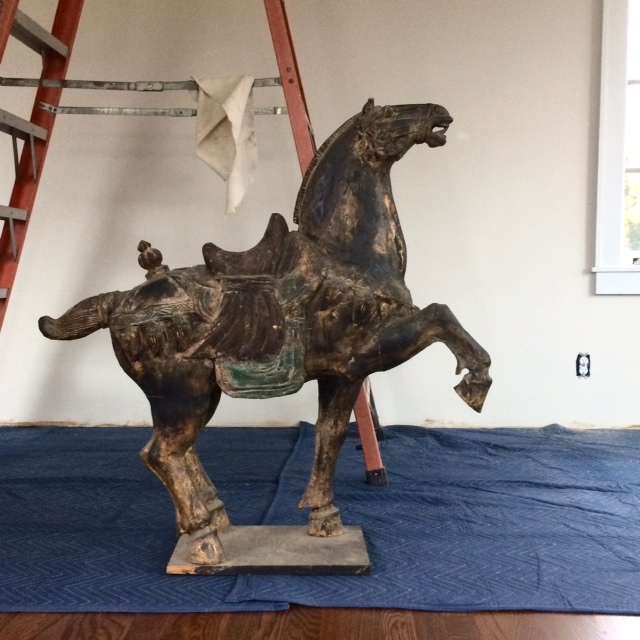 This entry was posted in Art, Sunroom and tagged 1930's bungalow, Antiques, DIY Home, Home Renovation, Old Home Renovation, Remodeling, Sunroom, Tang Horse by curt. Bookmark the permalink. Hey! Then my post was successful. It’s a guilt-free Wednesday! Gotta love guilt free Wednesday! What a great piece! Pretty good taste for a 17 year old. Hey Dan – yes, I was an old little fellow. The first was a oak pressed back rocker – so I was quite eclectic – some would say ‘strange’. Hope all is well. Nine years is not slow. We’ve lived in our unfinished project 14 years, and that was about five years into the project. You’re doing great! Oops, meant to say we moved in 14 years ago when it was already at about the five-year point in reconstruction. That was kind of garbled. Beautiful and inspiring. We’ve got a big remodel coming up in the new year! It will take time to get it done too, thanks to “real jobs” but will be so worth it in the end! Great work. Looking forward to seeing the end project! Thanks Momma T! Well, I hope we get to move in in 2018 – that’s the plan. No kitchen yet, but soon (I hope). Thanks for stopping in! 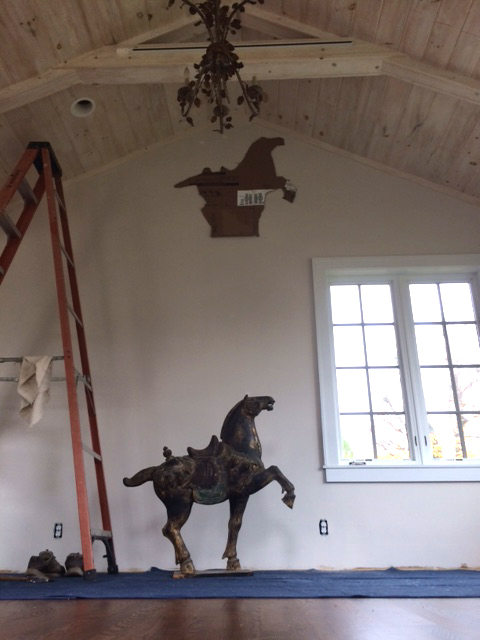 DIYers know that houses are never truly finished. I read blogs just to feel better about our own glacial progress. Your horse is magnificent! Love that horse! Looking forward to seeing more of your collection. And I had no idea you had another job!